The editor of online women’s magazine The Pool has said she is “absolutely gutted” the venture is to fold after almost four years. Cate Sevilla said she was “heartbroken” more than 20 members of staff faced redundancy from the firm, which was co-founded by broadcaster Lauren Laverne. One industry expert said The Pool was caught in a “deadly vortex” of declining advertising revenues. The site, styled as a “platform for women too busy to browse”, went live in 2015 and signed up a collection of prominent female writers and contributors. The Pool’s editor Cate Sevilla said in a series of Twitter posts: “I don’t really know what to say. I’m absolutely gutted. “This has been an extremely frustrating situation, and I’m heartbroken for my team. For our freelancers. For our readers. A GoFundMe page to help pay The Pool’s staff and freelancers had raised more than £8,000 of a £24,000 target by Friday evening. Eleanor Mills, chairwoman of Women in Journalism, which supports female workers in the industry, said online news websites were suffering because Google and Facebook were so dominant and took such a large share of all digital revenue, which she estimated at 95%. “The Pool found itself in a deadly vortex fed by both of these trends – the unviability of online advertising supported publishing and a shake up and turndown in fashion and beauty advertising,” she said. 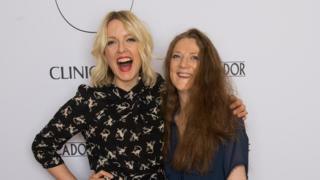 Lauren Laverne, who resigned as a director of The Pool last year, said on Twitter: “I haven’t had an official role at @thepooluk for a while, but I am extremely sad to hear about its closure. It comes after a month in which online publishers made deep cuts. Staff have been made redundant at a number of BuzzFeed offices, while Verizon Media Group, which owns HuffPost, has laid off hundreds of people. Press Gazette editor Freddy Mayhew said “there seems to be no end in sight” to redundancies at online publications. “Readers’ habits are changing as they turn away from printed newspapers and magazines to get their news and features digitally,” he said. “But as the media industry moves with them, it is struggling to find a business model that can sustain its journalism. The publication is calling on Google and Facebook to take less money from online advertising.